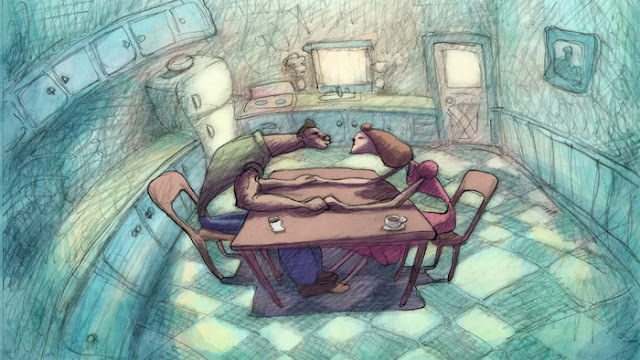 Earlier this year Bill Plympton's indie feature "Cheatin" played in Columbus followed by a Q+A by Bill Plympton. Well, the good news is that this event is happening again in Cincinnati this Thursday evening 8/6/15 in case you couldn't make it to the Columbus one! The feature will be followed by a Skype Q+A with Bill Plympton as well. This is a great opportunity to not only see a different type of feature but also to ask questions of a man who has produced multiple features on his own and has had a lot of really big clients too. He's basically the ultimate freelancer, which is why he's called the King of Independent Animation. Can you make it? We could also meet up after for a drink!